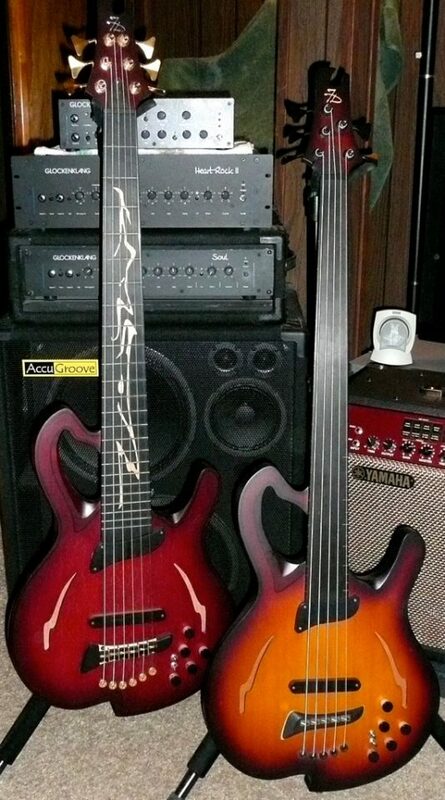 These are here for show only, I own and thoroughly these two basses. These two are version 1 of the Barcelona design, meaning these are true 34″ scale neck-thru’s with hollow body wings. The current Barcelona is a set neck design with 33″ scale standard. If ever you come across a Drozd bass of any kind, check it out – great builder, great basses !